When it’s time to have your vehicle repaired, you can trust Fabrication One’s nearly four decades experience in the collision repair business. 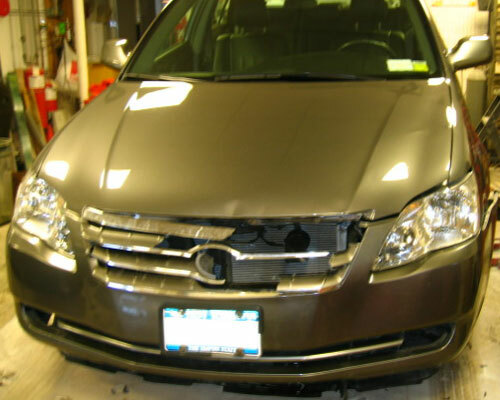 Working with state-of-the-art technology, your vehicle damage will be estimated and repaired by New York State licensed and trained ASE certified craftsmen. 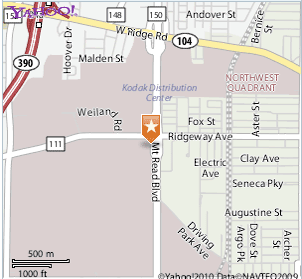 It is our goal to provide the highest quality service and repairs on your vehicle from frame and unibody repair to air bag replacement to panel alignment and paint matches. Prior to exiting each department, every vehicle is thoroughly inspected using our own exacting standards. You can depend on Fabrication One to deliver the highest level of quality with all repairs backed up by a written Limited Life Time Warranty. 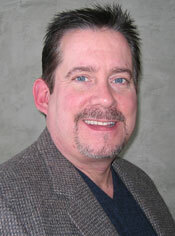 Joel Redling has owned and operated Fabrication One since 1982. Prior to that, Joel gained valuable experience working in the collision repair and mechanical services field working in his family’s business. It was during these initial years that he began fabricating floor pans, straightening damaged panels, sanding priming and painting, along with antique restoration and various mechanical repairs. Joel is an ASE Certified Collision Repair Master Technician and is experienced in all mechanical repairs. He learned the art of frame straightening full-framed autos and unitized body construction on the area’s first Black Hawk Damage Dozer, brought to Rochester in the mid 60’s by Hallman’s Chevrolet and later purchased by Joel’s father George Redling. The early adoption of new technology, and a focus on superior quality and service, have shaped Joel’s business practice at Fabrication One. Today’s modern automobiles are of unibody construction. Unibody repairs require specialized equipment operated by skilled technicians. Many auto manufacturers specifically state that specialized unibody repair equipment be used in their repairs for the ultimate in safety and handling performance. At Fabrication One, each vehicle’s substructure (unibody) is repaired to factory specifications on state-of-the-art collision repair systems and using only the finest materials and equipment. Repairing dents from dime- to silver-dollar-sized dents in body side panels, roofs, hoods, trunks and bumpers. 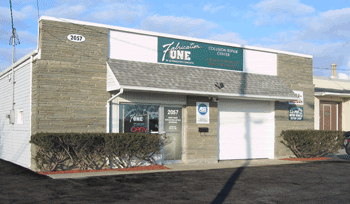 Upon request, Fabrication One will provide the convenience of ensuring that Rochester's #1 rental car agency will have a car waiting for you at our location when you drop off your vehicle for repair—and you can return it here when you pick up your vehicle. At Fabrication One, we employ a Kansas Jack Magna Rack with true 360-degree capability of frame and unibody realignment and three dimensional measuring equipment to restore good fit to moving panels (ie. hoods, doors, trunk lids, etc.). Broken electrical wiring harness repairs are performed with waterproof connections to ensure performance and continuity in wet environments. At Fabrication One, only the finest quality OEM crash sensors, air bag and safety belt tensioner systems are installed. To resist rusting or corrosion, repairs need to be coated not only on the topside, but also on the under side. Fabrication One uses the highest quality paints and coatings to ensure longevity. Coatings are applied in a controlled atmosphere within a semi-downdraft cross flow spray booth with a 1 million BTU bake drying cycle. All bodywork is thoroughly inspected prior to entering the refinish department. 1957 Chevy truck with customized chopped top and z28 front frame stub. 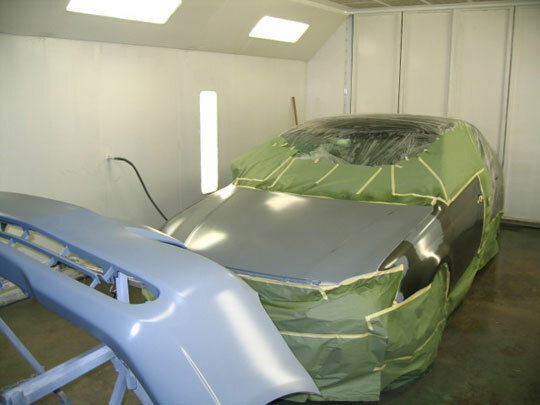 Fabrication One paints and installs wings, spoilers, ground effects, sunroofs, flares, hood scoops, vertical doors—just about any and all things on the market. Hand painted and vinyl pinstripes and graphics, full detailing, including machine waxing, paint sealants and interior shampooing are all expertly applied and performed at Fabrication One. 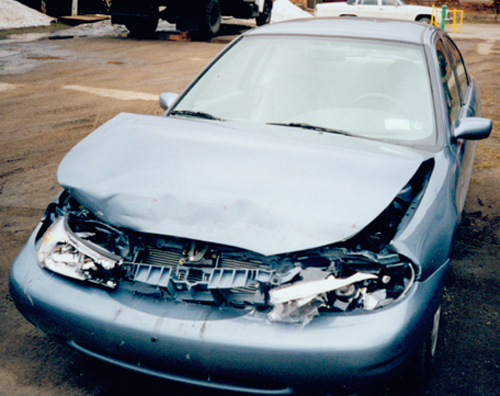 Q: Do I have to use a collision repair shop suggested by my insurer? A: As a matter of law, you have the right to choose which repair shop you wish to use despite any desires that your insurance company may express. Q: Can you repair plastic bumpers or do they have to be replaced when they are torn? A: YES they can be repaired even when torn, with a specialized plastic welding process. After the process it is painted to look brand new. Torn bumper being repaired at Fabrication One. 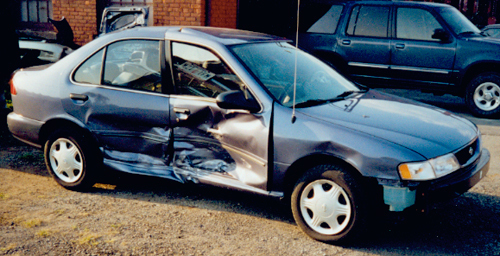 Q: If my car has frame damage, will it ever drive and perform correctly again? 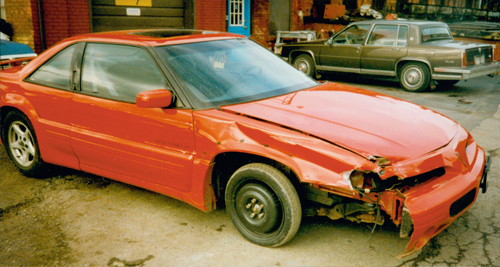 A: With our Kansas Jack Frame Straightening & Realignment Table, the vehicle’s factory built unibody and/or frame can be restored to factory specifications. Thereby restoring alignment not only to the sub-structure, but also to the suspension’s mounting points so the vehicle will not only look (Fit & Finish) new but also drive and perform like the factory had intended. Q: My mechanic says my car has a rust hole in the frame and it won’t pass inspection. Can that be repaired or do I need another car? A: Rust holes in frames or unibody cars or trucks are structurally unsafe and will not pass a NY State Inspection. The good news is that it can be repaired so the vehicle will be safe for you, your family, and other drivers on the road. Q: My car’s interior carpet & seats have some stains that no one has been able to remove. Will they have to be replaced? A: Fabrication One offers a full interior and exterior detailing and most often are able to renew interiors through a specialized carpet and fabric color dying. Q: My headlights are foggy and dull looking. Can that be fixed or do they need to be replaced? A: YES they can be economically resurfaced with a special UV coating to restore clarity. Three doors south of Ridgeway Ave on the west side of Mount Read Blvd. Mouse over image to see finished repair. Toyota Avalon. Mouse over image to see finished repair. 1998 Ford Contour. Mouse over image to see finished repair. 1998 Toyota Corolla. Mouse over image to see finished repair. 1995 Pontiac Grand Prix. Mouse over image to see finished repair. 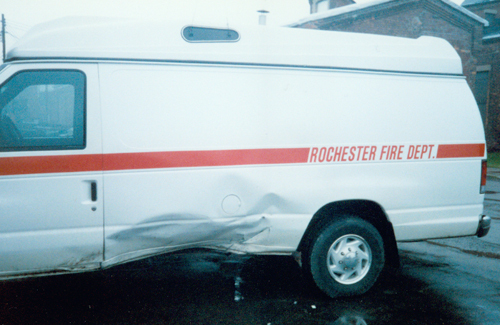 1996 Ford Econoline Super Extended Van.